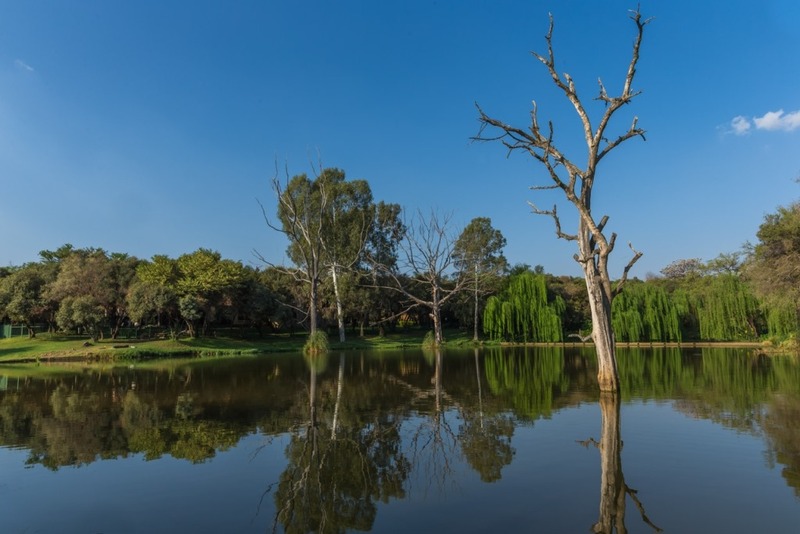 Situated relatively close to Pretoria and Johannesburg, Klein Paradys is an ideal getaway for caravanners looking to escape city life and rediscover nature’s beauty. Take a walk through the resort’s exclusive Garden of Eden or spend the day fishing for bass. Lush vegetation, serene dam views, entertainment for the kids and excellent facilities will ensure that your stay leaves you refreshed and rejuvenated. Have a splash in the cold and heated swimming pools and don’t forget your racquet for a game of tennis. Spend time on the dam canoeing, catch a big one from the side or laze on the lush lawns enjoying serene views of the water. No Pets allowed. There’s loads on offer for kids, including supertube, playground, canoes, trampolines, tennis courts, putt-putt, sprinkle park, chess and speed slide. Day visitors are more than welcome. For any enquiries please contact the resort. The resort is closed between June and July.